If you’ve learned a little bit about me, you know that I enjoy video games and stories about apocalyptic or post-apocalyptic scenarios where philosophical questions are explored regarding the breakdown of society. As such, I would like to share with you a little gem that one of my friends on Facebook shrared with me regarding theFallout series (including Fallout 3 and Fallout: New Vegas) by Bethesda Softworks LLC. Fallout: Nuka Break is an unofficial nonprofit fan film made by the Fallout fans, Wayside Creations, and they are working to raise funds to make it a full-length Web series. This film is artistically and beautifully rendered. Further, I would go so far as to say it is on-par with many large budget Hollywood movies. Wayside Creations’ attention to detail, such as their incorporation of an Eyebot and Bottlecap Mine, is phenominal in this short film and it is aesthetically paying homage to the Fallout series in many ways. So, if you’re like me, you just might enjoy this tribute to the Fallout series. 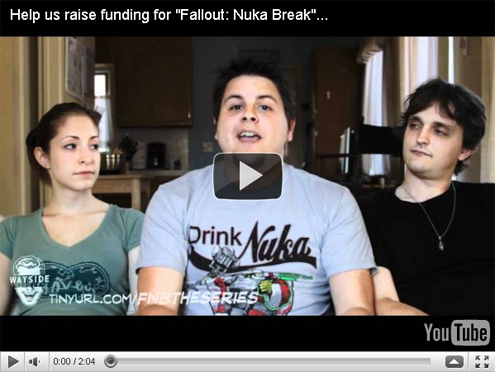 YouTube: Help us raise funding for “Fallout: Nuka Break” the series! Do you think about these kinds of philosophical questions — those that question how the breakdown of society will play out? 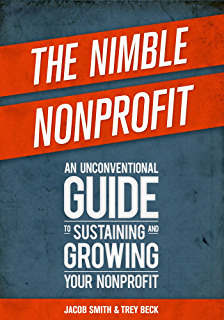 Previous Article: A SoCal State of Mind Next Article: What is a Good Book About the Nonprofit Sector?